Blow away the afternoon heat with an indulgent tea party and a latest blockbuster hit! At the tea party, you can look forward to connecting with new buddies over a refreshing beverage and a slice of cake. Afterwards, continue to enjoy their company while watching the latest movie together. 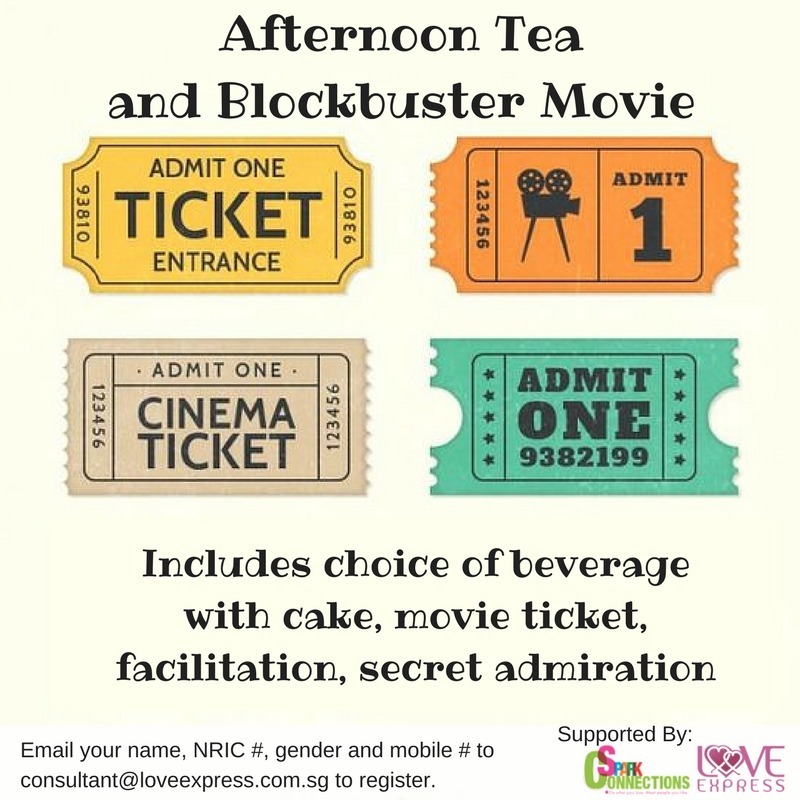 Price includes choice of beverage with cake, movie ticket, facilitation, secret admiration (if there is a mutual match, contacts will be released to both participants) and matching.